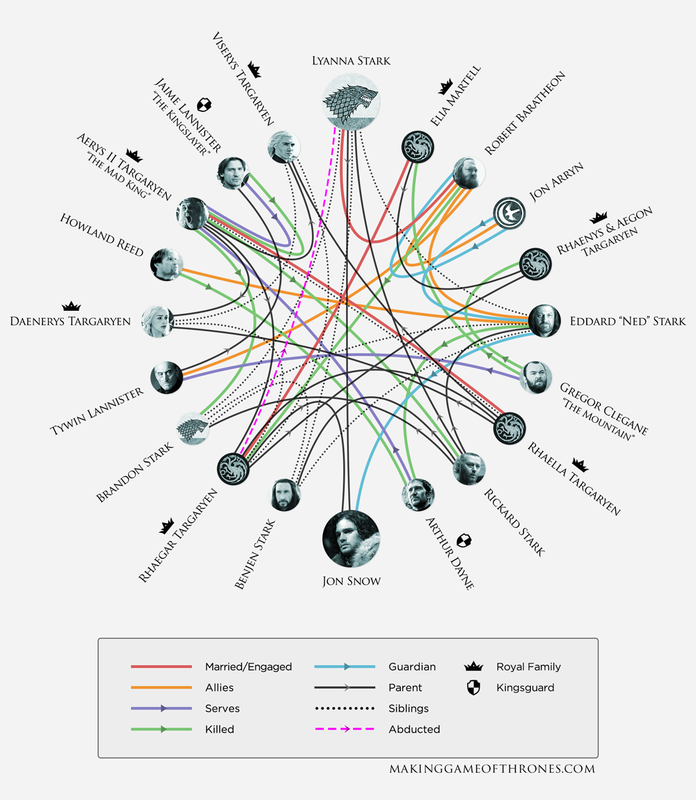 Game of Thrones: This graph models the relations between characters from the HBO series "Game of Thrones" by season 8. Mathematics Genealogy Project: This graph models supervisor/student relations between mathematicians. The TV show "Game of Thrones" is based on the book series "A Song of Ice and Fire" by George R. R. Martin and is one of the most popular TV shows in the previous years. In 2016, HBO released the following infographic that shows how the key players related to each other during the "Tower of Joy" moment. This graphic inspired us to create a contest topic for Game of Thrones character relations. We extracted the relations between the most important characters in the show as of the end of Season 7 from the Game of Thrones Wiki. The graph consists of 84 nodes (characters) and 216 edges (relations). The graph is provided in GraphML format. The nodes have the following properties. The optional properties do not have to be visualized, but can be. name The name of the character. house-birth (Optional) Affiliation of the character to a house by birth. house-marriage (Optional) Affiliation of the character to a house by marriage. group (Optional) Affiliation of the character to a group that is not a house. The type of the relations are described by the relation property of the edges. The edges are directed if unspecified, or undirected of directed="false". There are the following types of relations. death Directed edge: The source character killed the target character. father Directed edge: The source character is the father of the target character. The type property describes whether it's biological or legal. mother Directed edge: The source character is the mother of the target character. The type property describes whether it's biological or legal. siblings Undirected edge: The two characters are siblings. The type property describes whether it's biological or legal. lover Undirected edge: The two characters are lovers. spouse Undirected edge: The two characters are (or have been) married. allegiance Directed edge: The source character is allegiant to the target character. The type property describes the type of allegiance. The Mathematics Genealogy Project is an initiative of North Dakota State University to track all advisor-advisee relationsships in the broader field of mathematics, since the earliest records that are available. The database has 222,360 scientists on record as of today, and can be explored here. In July 2016, Cosmin Ionita and Pat Quillen of MathWorks used MATLAB to analyze the Math Genealogy Project graph. At the time, the genealogy graph contained 200,037 vertices. There were 7639 (3.8%) isolated vertices and 1962 components of size two (advisor-advisee pairs where we have no information about the advisor). The largest component of the genealogy graph contained 180,094 vertices, accounting for 90% of all vertices in the graph. The main component has 7323 root vertices (individuals with no advisor) and 137,155 leaves (mathematicians with no students), accounting for 76.2% of the vertices in this component. The next largest component sizes were 81, 50, 47, 34, 34, 33, 31, 31, and 30. The graph does contain cycles, but is generally very tree-like. For the contest, we have selected the subgraph containing only the 2277 scientists who graduated before the year 1900, but retaining the number of descendants in the full graph. We also kept the year and country of each graduation. You task is to use this information to give the most meaningful or insightful visualisation of the graph. You may choose to leave out or emphasise information as you see fit. id A unique integer id for the vertex. This is the original scientist id from the Mathematics Genealogy Project; since this is a subgraph, the integers are not consecutive. descendants The total number of the vertex descendants in the full graph. name The name of the scientist. The name may contain additional spaces, and may contain UTF-8 characters. advisor The id of the advisor. advisee The id of the advisee. year The year in which the graduation of the advisee took place. country The country in which the graduation took place. In some cases, country information is missing. Note that a scientist may have multiple advisors, either because he or she received multiple degrees or had multiple advisors on the same degree (or both). A visualization illustrating the graph in a format of your choosing. A web-friendly image of your visualization. 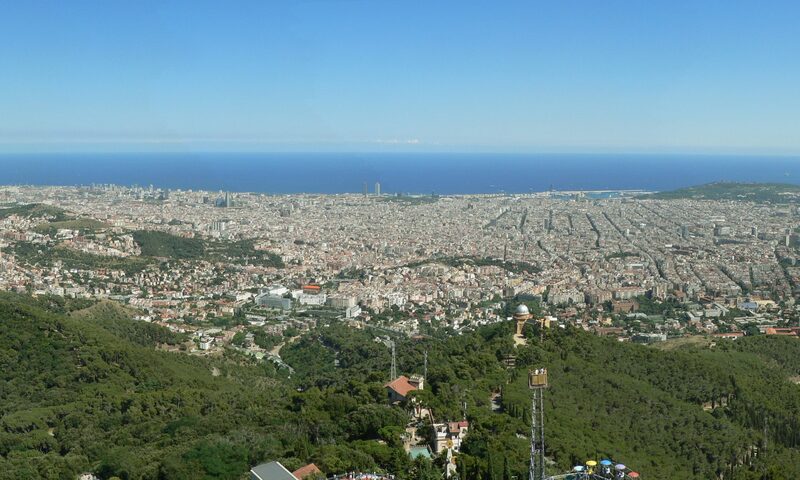 Max resolution 1000 by 1000 pixels. A pdf version of your visualization, suitable for printing on a large A0 poster. If your drawing requires special printing because of size, resolution, or color constraints, you are encouraged to submit via hard-copy. In this case, please contact us in advance and make sure that your submission is received no later than September 15. Please still submit the remaining items by email.